Wow! It’s such a breeze doing groceries with Amor now. She was was so good on the bus ride from school, she waited patiently for her favourite tamago sushi, she helped me pick up the groceries and patiently waited in line at the cashier and at the taxi stand. When Amor was younger she was very irritable and rigid. It was hard for her to transition from one activity to another. Thus, an activity like this would be peppered with tantrums and resistance. But today, the only quirkiness that made me smile was Amor asking the same question (or variations of the same question) over and over again and her scratching the seat belt (which I believe helps calms her hearing senses). But I like querky 😄! 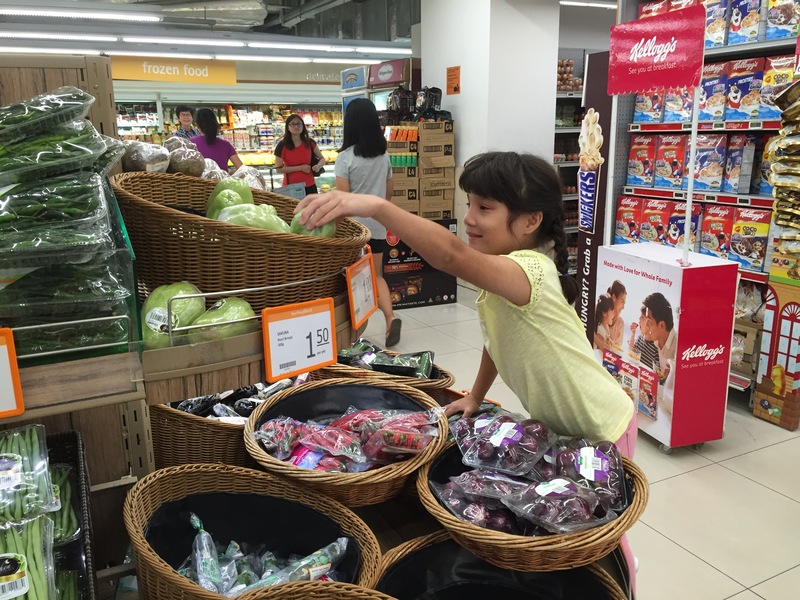 In the photo: I was loving Amor’s demeanour as she helped me get the groceries. There was a time when Nathan wouldn’t respond to his name. He wouldn’t even look at me. I didn’t even know if he knew that I was his mother. I used to sing songs about how much I loved him and it felt like it was falling on deaf ears. Nathan would hum his chants and look at all directions as I sang my songs to him. Thanks to the Son-Rise Program(r), I can “reach” Nathan again. He can play with me for extended periods of time, even up to an hour, with strong interactive attention, looking at my eyes, smiling and laughing, with games that he initiates. We have been blessed mightly! – Lolo (Grandfather) push the wheelchair please (That’s a Nathan’s wheelchair, when we go out). – Lolo, blow [fart kisses] on Nathan’s tummy please. – Lolo, play jump around please (Nathan’s favourite music). – Lolo, make the music louder please. – Lolo, sleep next to him (that’s “me”. Nathan still needs to work on his pronouns) please. – Lolo, lie down in bed please (so Nathan can sleep next to him). – Lolo, lift your shirt please. 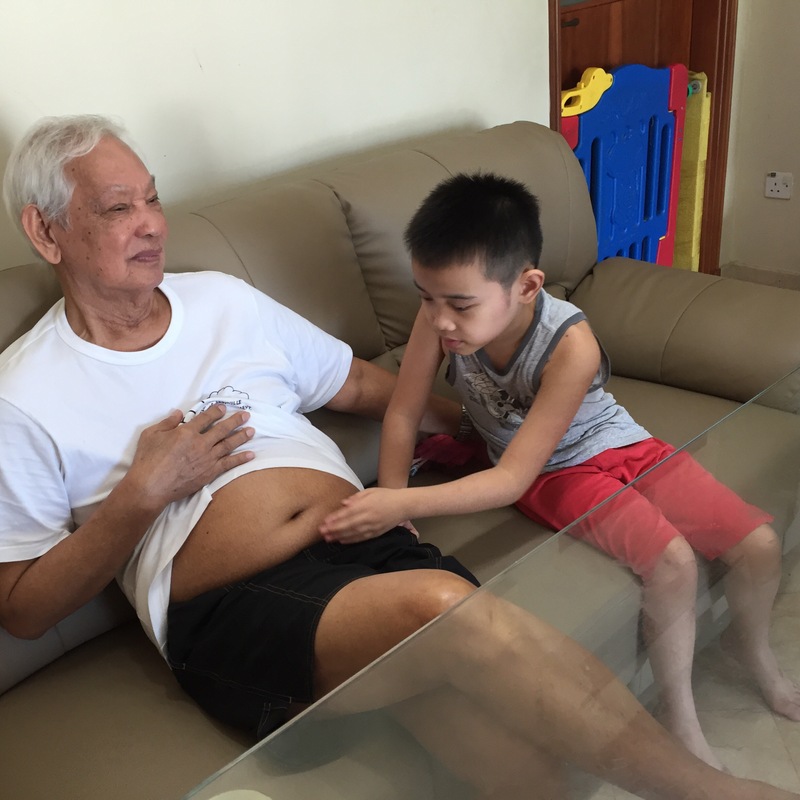 Nathan wants to rub your tummy (see photo of Nathan rubbing/tapping Lolo’s jelly belly 😆). I was in the shower when I heard knocking. I though it would be my other kids but surprised it was Nathan. Still skeptical if he was actually knocking or just stimming and tapping on the door, I asked, “Who is it?” Nathan echoed, “Who is it”. I tried to answer in a way that would help. “Is it….NATHAN?” I coached. “Nathan!” He answered accurately! “What do you need Nathan?” I continued our conversation through the closed door. “You want banana?” He asked. He still gets his pronouns mixed up, but correctly saying pronouns is a social skill that is achieved 2 stages ahead of the current son-rise social developmental stage that he is on, so we’re not in a rush to fix that until he is more ready. 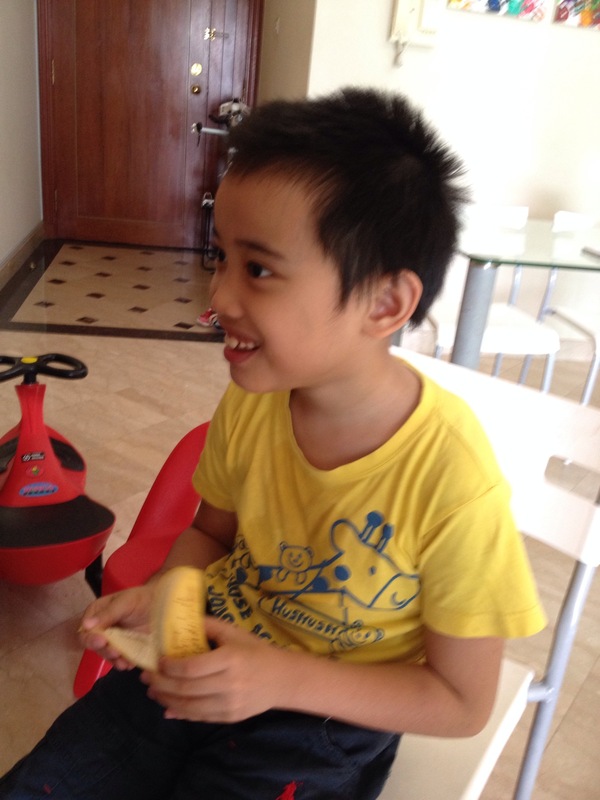 After my shower, Nathan already spoke to Juliet, got his banana and was satisfied! Imagine that! Three years ago, before we found The Son-Rise Program(r), Nathan could not even tell us that he was hungry. He was 5-years-old back then and had no intentional speech. He would use tantrums, even aggression, to try to communicate his needs and we just became good to figuring him out. Today, Nathan not only tells us exactly what he needs, he can be very, very persistent and yet very patient while requesting. What an amazing journey it has already been. The future is exciting for us! Blessed with The Son-Rise Program(r)! In the photo Nathan eating his most favorite snack, bananas! When Amor was younger, she had sensory hearing issues. She hated the sound of the vacuum cleaner, blender or even an electric toothbrush. She would freak out every time I invited her to dry her hands with the electric dryer in public comfort rooms. As a result of her hearing sensitivities, she had trouble picking up and singing her nursery rhymes on tune. I though she simply took after me. I can only sing in the shower :-). Haha. She still has a little issues with certain sounds, the issues comes and goes, but she has definitely come a long way and continue to overcome many challenges! It’s so fascinating watching her catch the right melody and tunes of this song. And unlike her previous Christmas presentation, she is so connected with the crowd and not distracted by the microphone anymore! 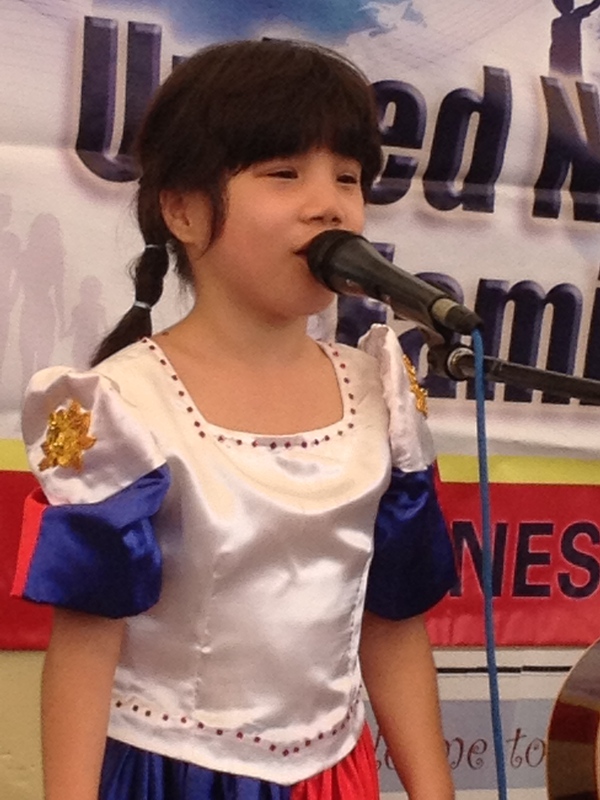 We just enrolled her in singing class and she learned so much so fast! Hurrah for her music teacher! 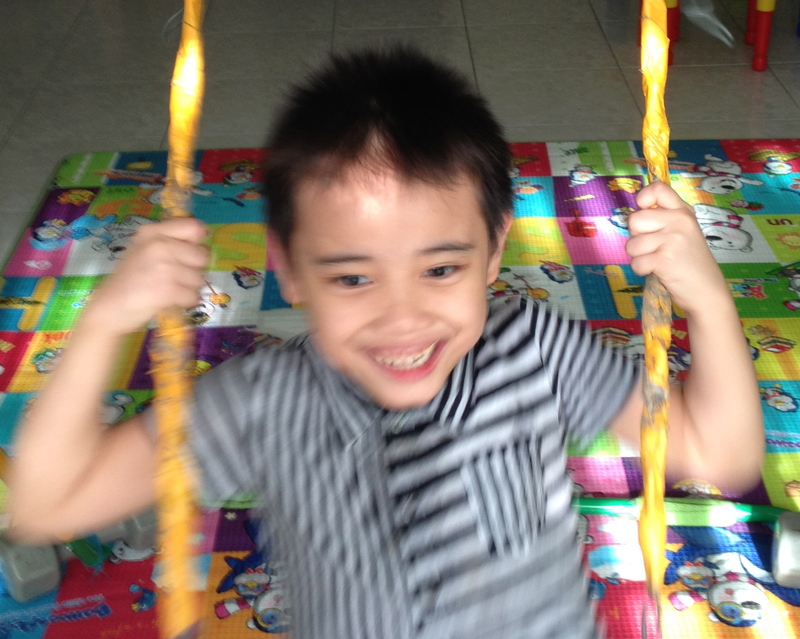 The biggest thing that has helped us with Amor’s sensory issues is The Son-Rise Program. Simply understanding that Amor could not handle those sounds…YET and removing them, putting her in a distraction-free environment, to nurture her growth first until she was ready for the challenge. Sure enough, today, whenever I invite her to dry her hands in public dryers, she will gladly do it as I tell her how proud I am that she is so brave dealing with that “loud” sound. Of course, we continue to work on Amor’s health by ensuring she doesn’t not eat preservatives, coloring, sugars, gluten and casein. We also test and supplement mineral/vitamin deficiencies. I know Nathan loves it when I echo what he says. Sometimes I think he believes all he as to do is look at me or touch my mouth/chin and automatically, I know to echo him to his delight. I don’t challenge him right away. He looks/gestures then I do what he wants you to: echo his crazy language, like “Do it Tita Ika”…Don’t ask me what that means. It’s the equivalent of our tongue twisters. I’ll do this about 3 times until he’s laughing so loud. Before the 4the round, I model “Say ‘do it Tita Ika please.’ ” Then pause to give him time to respond. Sometimes he will just answer ” ‘Ika’ please.” Without the “say ‘Ika’ please”. Nevertheless, I give him the pleasure of listening to my echo. This keeps him on the game and prolongs attention span instead of making him turned off at the challenge. When he does achieve the biggest request “Mama say … please” I echo his words in a bigger and funnier way than thank him for asking Mama. If in the end he did not achieve saying the whole request, at least the bigger priority was done: building the relationship! Nathan never stops to surprise his teachers. His therapist called me just to tell me what happened in school. Nathan asked for “put your left foot in …put your left foot out”. “Oh,” said his therapist, “Let me look for that song on my iPhone.” But Nathan did not seem to want what he offered and moved away. “Ok.” replied his therapist, as he went to check if that song was on his VLC player. 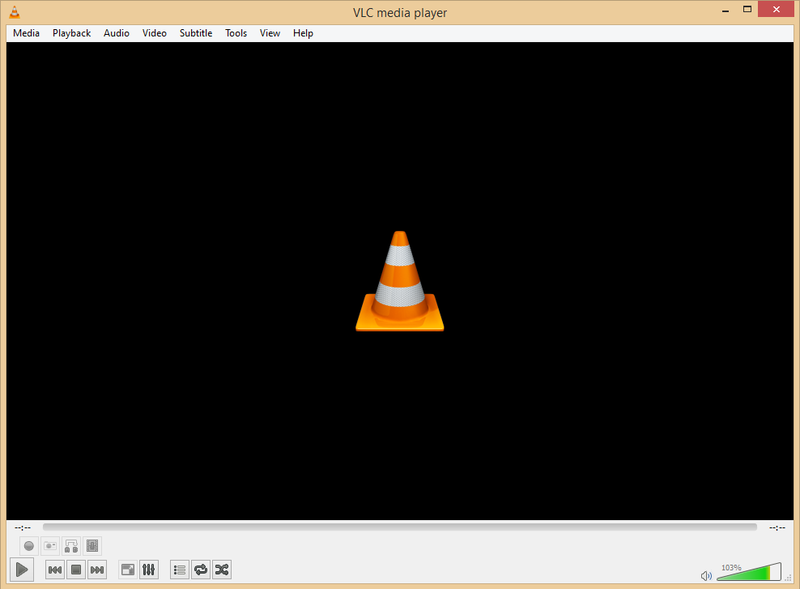 To his surprise, he saw that the VLC player showed an orange traffic cone that looked like a hat 🙂 “This is it for sure,” the therapist thought. When he turned on the Hokey Pokey music, Nathan started laughing and requested further, “Ok, I want to swing now.” That’s his favorite place to be, when listening to music. A child with autism, being so persistent, asking someone to get what he wants and spontaneously picking his own words to communicate! That doesn’t happen everyday. 1. She was really calm thus, not rewarding/reinforcing the crying. 2. She was a good detective, based on what preceded the crying, her best guess was that Nathan wanted to share an experience about riding the air plane, smilie faces in the mirror, etc. but cried when he could not express more. 3. She presented many alternatives to Nathan like sensory squeezes, toys or a glass water. 1. Move SLOWLY. Just as Aldhel was very clam, don’t make the crying/whining move you. 4. Use a lot of EXPLANATIONS and PAUSE to give Nathan time to process what you said. Explain and believe that Nathan can understand what kids his age are told. I believe he can. The child facilitators noticed that it took 8 seconds before Nathan responded to their requests. 5. As soon as Nathan uses words or shows a good attempt, move FAST! Let him know that his words are very effective and can get him his needs fast while whining is less effective. When the Kaufman’s first “joined” Raun, they did so not aiming for autism recovery. They simply wanted to connect with Raun, let him know he was loved and make him happy. Recovery was a bonus. They understood that for kids with autism, the world is very unpredictable. These kids feel that they have no control of their surroundings. Their ism is the only thing they have that feels predictable and safe. So it’s important not only to join their isms but to fall in love with their isms. 2. 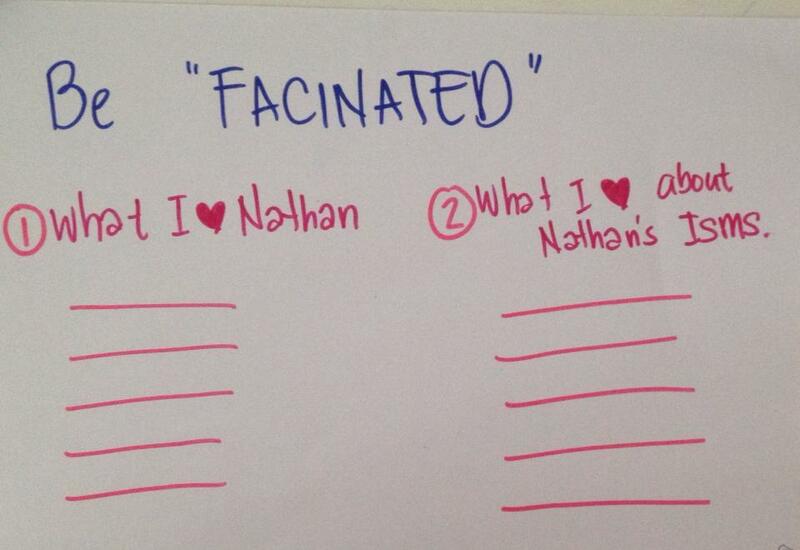 Make a list about what you love about Nathan, while he is isming.